One of the most underrated forms of exercise happens to bring great benefits to your skin and overall health. If you can walk somewhere, you should! Exercise helps nourish skin cells and keep them vital. Our blood carries oxygen and nutrients to working cells throughout the body, including skin. A brisk walk improves blood circulation, giving you that healthy glow and keeps conditions of acne, pimples, fine lines and wrinkles at bay. Because walking is a low impact exercise, it is good for all skin types and conditions. Keep in mind, if it's windy, you'll want to lock in moisture with a finishing serum and wear a scarf close to your face. And as always, make sure you protect your skin before you leave the house with an SPF 25+ and hat. 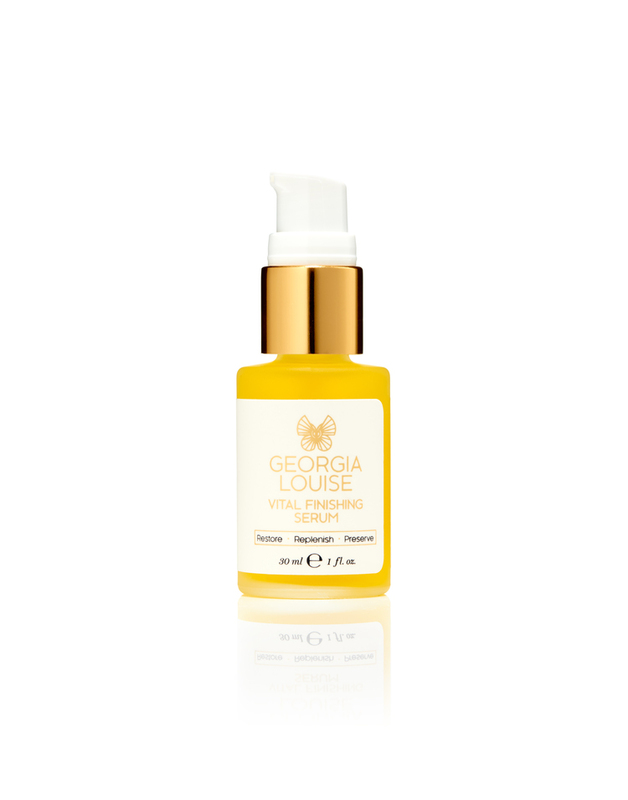 Both products are available at the Atelier and Georgia Louise Vital Finishing Serum is available online.